On Tuesday 19th May, the Licensing sub-committee refused the application from Grand Union to transform Big Fat Panda restaurant into a bar/night-club. Councillors Peter Dawson and James Cousins, along with 3 local residents raised numerous concerns highlighting the inadequacy of the proposal. The report from the officers counted 61 objections made, including 3 letters from Ward Councillors (one on behalf of all the Ward Councillors of Shaftesbury and Northcote Wards). 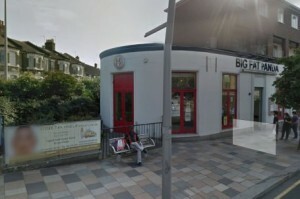 They raised concerns regarding street drinking and alcohol related disorder, anti-social behaviour, crime and loitering of patrons outside the proposed premises, increased risk of violence to customers both inside and outside the venue, noise (deliveries, arriving and leaving, external area)…etc. The Residential Services Manager – Environmental Services (Council) said that he was opposed to any extension of hours beyond the guideline hours. Councillor Cousins said that the area was heavily residential [and] not a suitable venue for this part of Lavender Hill. A planning application 2015/1597 from Grand Union bars was proposing a change of use from A3 (restaurant and cafe) to A4 use (drinking establishment), including use of garden, area until late nights, with music and DJs, at the location currently occupied by the Big Fat Panda, a Chinese buffet restaurant. With the licensing application refused, Grant Union withdrew its planning application. Residents felt very well and effectively represented and were delighted by the outcome. However this isn’t necessarily the end of it all. Grand Union can still appeal and possibly reapply for the drinks license later, lowering the opening hours or the number of customers (although the Council said that even 50% was still unacceptable). We support the local residents thinking that the location is not suitable at all for this kind of business. Instead it could be used for a café/family oriented area, in line with its surrounding.